We have learned that one of the differences between the minor fasts and Tish’a B’Av is that pregnant and nursing women are exempt from the former and obligated in the latter (above 7.8). The reason for this is that only the sick are exempt from fasting on Tish’a B’Av, and pregnant and nursing women – despite their various aches and pains – are not considered sick (Sh.A. 554:5). If, however, they experience extraordinary weakness, their status is like that of a sick person, and they are exempt from fasting on Tish’a B’Av. For example, a pregnant woman who suffers from excessive vomiting or dizziness is considered ill and need not fast. Similarly, a pregnant woman who is extremely weak – due to a low blood count, for example (less than 10 grams hemoglobin) – is exempt from fasting. It goes without saying that one should not fast if doing so could possibly cause a miscarriage. 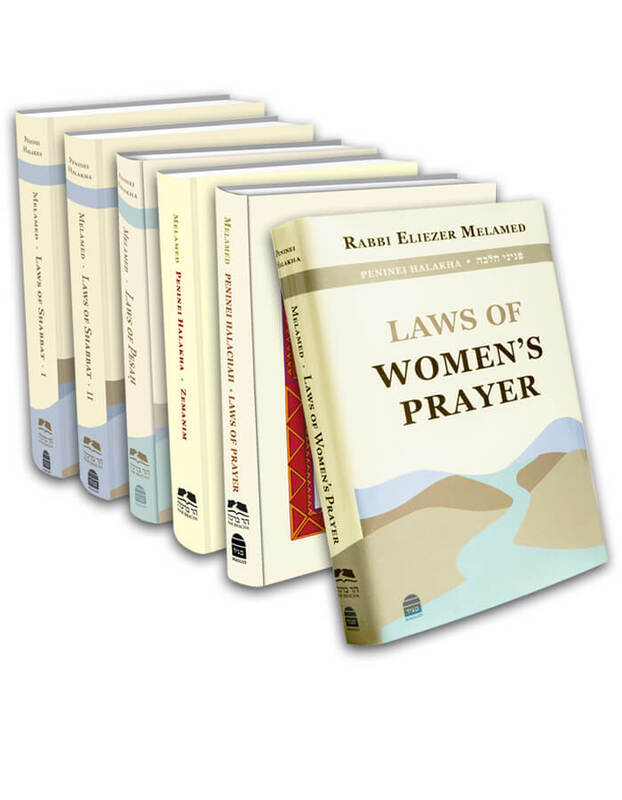 A woman who is unsure whether or not she is considered ill should begin the fast. Then, if she starts feeling very weak, her status changes from that of a regular pregnant woman to that of a sick person, allowing her to eat and drink. As we learned, a nursing woman is obligated to fast on Tish’a B’Av. And even though it is harder for her to fast, because nursing depletes one’s liquids, that does not put her in the category of a sick person. The baby doesn’t suffer from the fast either, for if its mother is one of those whose milk does not decrease when she fasts, the baby will certainly not feel any difference. And even if the mother’s milk supply decreases when she fasts, she can supplement her baby’s diet with sweetened water or hot cereal, such that the baby will not suffer as a result of the fast. The best advice for most women whose milk decreases is to skip two feedings in alternating fashion. That is, a woman who nurses every three hours should feed her baby at 10:00 a.m., give him a bottle at 1:00 p.m., nurse again at 4:00 p.m., and give him another bottle at 7:00 p.m. This way, she will not suffer too much from fasting and her milk will not diminish. A nursing woman may eat and drink if she feels so weak that her status changes from a [mere] nursing woman to a sick person. There are those who rule that if a pregnant woman suffers as a result of extraordinarily hot weather, she is exempt from fasting (Rabbi S. Z. Auerbach). Others are even more lenient, exempting all pregnant women [from fasting altogether], either because heat waves [can occur] or because people in general are weaker nowadays (as cited in Halichot Beitah 25, note 3). Nevertheless, I wrote [above] the practical halachah according to the letter of the law, as formulated in the Gemara (Pesachim 54b), the Shulchan Aruch, and the Acharonim. See Torat HaMo’adim 7:3, Piskei Teshuvot 554:5, Hilchot Chag BeChag 7:4, and Torat HaYoledet 48:4:6. A mother who feeds her baby breast milk alone, and her milk diminishes when she fasts, should stop fasting and feed her baby properly if she is unable to get him to drink milk substitutes or sweetened water from a bottle. Similarly, a woman who is concerned that fasting might cause her milk to stop altogether, making her unable to nurse anymore, should not fast. The author of Torat HaYoledet (48:4) writes that such a woman should drink portions less than the minimum measure, because she is not [really] sick, and the only reason she needs to drink is for her baby.